How about something refreshing for breakfast? On today’s recipe, you will learn how to make a delicious Berries Smoothie Bowl, very creamy, chilling and naturally sweet. This is perfect for those hot summer mornings or even to chill out in the afternoon. You can also vary the type of berries, just remember to have them frozen before using, got it? Add berries, coconut milk, and coconut oil in a blender. Blend everything for less than 1 minute, just enough to have all ingredients well combined. Then turn off the blender and, using a spoon, mix in the chia seeds. Pour the liquid into a serving bowl and refrigerate it overnight so in the morning the chia seeds will be soaked and give an extra creamy texture to the smoothie. It’s done! You can top it with extra berries and a tablespoon of coconut cream before serving. 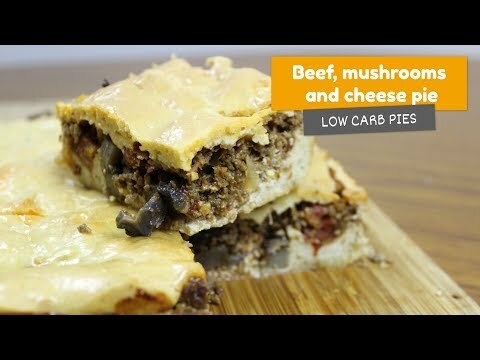 This was the last video of our Low Carb Breakfast series. I hope you enjoyed them as much as we did recording everything. But you know, there’s always more great recipes coming! Keep tuned on our YouTube channel and blog for new videos!